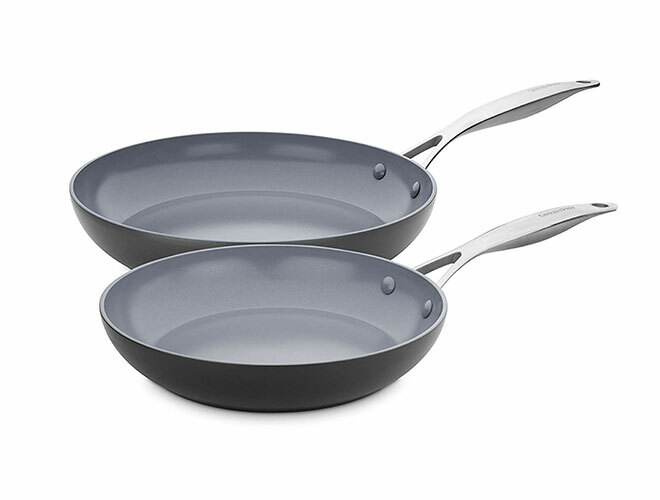 GreenPan Valencia Pro Nonstick Skillets are perfect for preparing eggs and omelets as well as a range of other recipes. The durable hard anodized body allows for maximum strength and scratch resistance and is complete with Magneto technology, featuring ferromagnetic particles reinforced with copper in the base to give you superior induction efficiency and cooking results on all stove tops. Magneto advances your induction cookware and guarantees base stability, ensuring your cookware will never warp and results in perfectly even cooking without the loss of energy or heat. 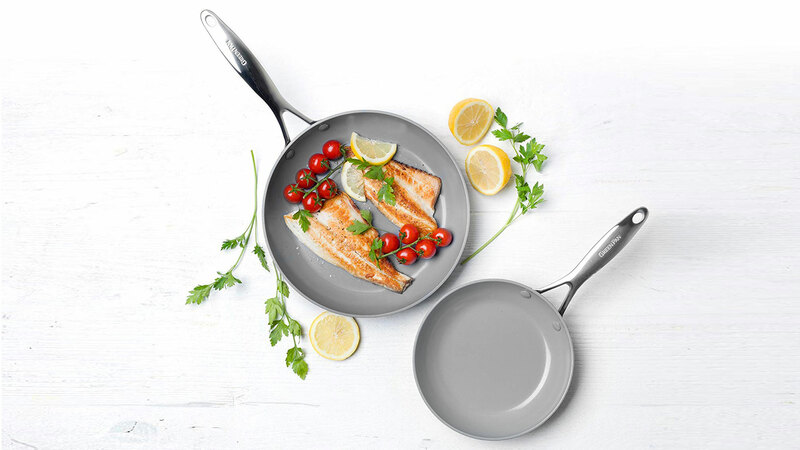 Coated with Thermolon Minerals healthy ceramic nonstick, now metal utensil safe and lasts even in the face of intense use. Stainless steel handles allow your cookware to go swiftly into the oven and the dishwasher safe coating makes clean up stress-free. 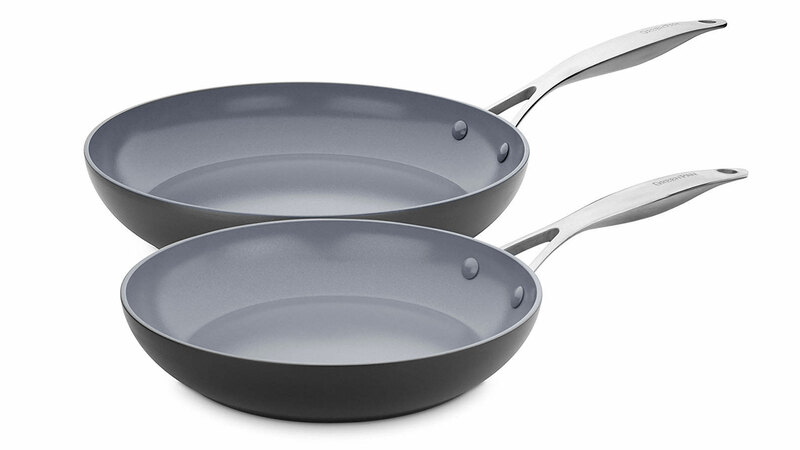 https://www.cutleryandmore.com/greenpan-valencia-pro/10-12-inch-nonstick-skillet-set-p137579 37579 GreenPan Valencia Pro 2 Piece 10 & 12-inch Nonstick Skillet Set https://cdn.cutleryandmore.com/products/large/37579.jpg 99.9500 USD InStock /Cookware/Fry Pans & Skillets GreenPan Valencia Pro Nonstick Skillets are perfect for preparing eggs and omelets as well as a range of other recipes. The durable hard anodized body allows for maximum strength and scratch resistance and is complete with Magneto technology, featuring ferromagnetic particles reinforced with copper in the base to give you superior induction efficiency and cooking results on all stove tops. 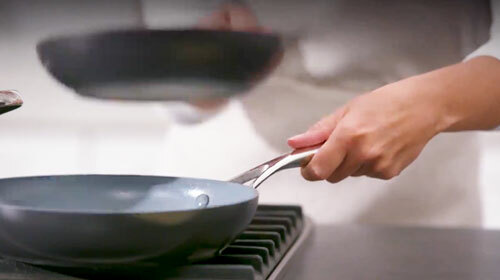 Magneto advances your induction cookware and guarantees base stability, ensuring your cookware will never warp and results in perfectly even cooking without the loss of energy or heat. 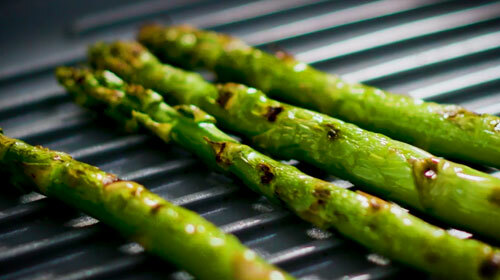 Coated with Thermolon Minerals healthy ceramic nonstick, now metal utensil safe and lasts even in the face of intense use. Stainless steel handles allow your cookware to go swiftly into the oven and the dishwasher safe coating makes clean up stress-free.